"That's... that's enough music for now, lads." 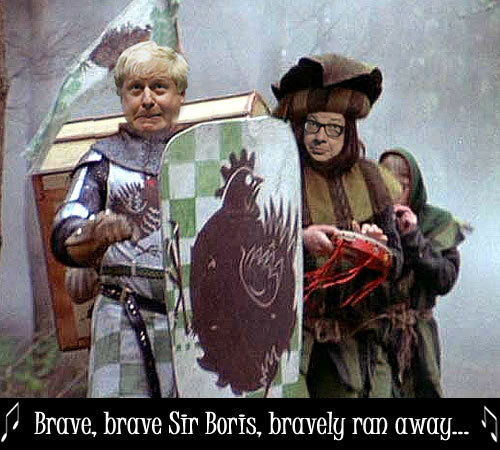 Bravest of the brave, Sir Boris! Do you seek to leave the E.U or remain ? Remain .. no, leave .. yarrrrggghh !! !1!